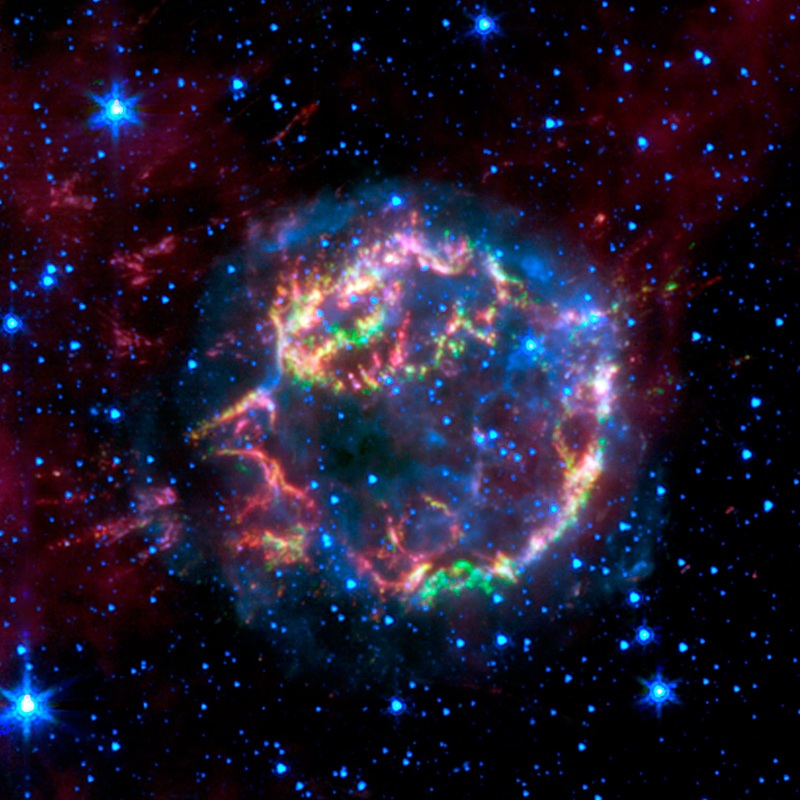 "Spitzer has essentially found key missing pieces of the Cassiopeia A puzzle," said Jessica Ennis of the University of Minnesota, Minneapolis. How did Spitzer find the missing puzzle pieces? As the star's layers whiz outward, they are ramming, one by one, into a shock wave from the explosion and heating up. Material that hit the shock wave sooner has had more time to heat up to temperatures that radiate X-ray and visible light. Material that is just now hitting the shock wave is cooler and glowing with infrared light. Consequently, previous X-ray and visible-light observations identified hot, deep-layer material that had been flung out quickly, but not the cooler missing chunks that lagged behind. Spitzer's infrared detectors were able to find the missing chunks -- gas and dust consisting of the middle-layer elements neon, oxygen and aluminum.